Valentine’s day roses and chocolates will be available to order starting January 30th, 2019 and ending on February 8th, 2019. Roses are 1.50 €, and chocolates are 2 € per bag. Both can be delivered to a recipient of choice along with a note, or picked up on the day by the customer. 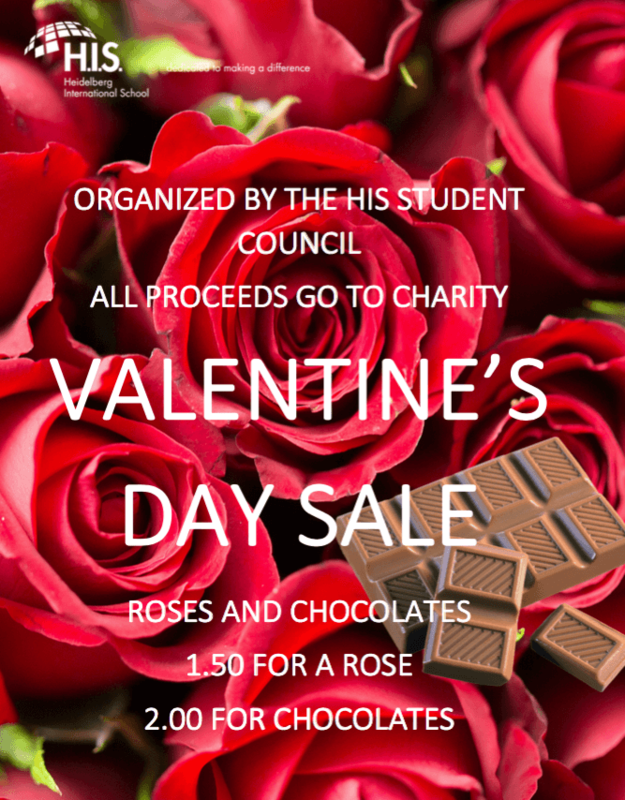 Both roses and chocolate will be available to order in the foyer after school, or from individual student council representatives.